Of course we are no stranger to construction equipment called scaffolding (steger). This tool is used to facilitate the work in building. So scaffolding is a temporary structure used to support people and materials in the construction or repair of buildings and other large buildings. Usually this tool is in the form of a modular system of metal pipes or tubes, can also use other materials. 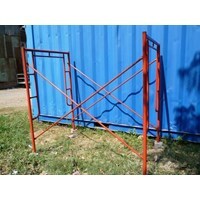 Aneka Jaya Scaffolding makes and sells quality scaffolding at low prices. Scaffolding (Steger)We are ready to assist you in meeting the procurement needs scaffolding, for the construction needs of individuals and construction industry.Scaffolding from our new, consists of two main frame, two cross brace, 4 joint pinAs for the goods that we distribute are manufactured goods (manufacturing) is not home industry, while the advantages are:1. In welding technology with co2 not with the usual electric welding (adhesion eminence)2. Paint the outside immersion in the oven instead of paint brushes + usual3. Goods certified according to standard due diligence and sni4. Experienced distribution to exit the island and even abroadjaya various scaffolding is a company engaged in the sale / rent scaffolding, scaffolding sell new / used, rental scaffolding. In the world of construction, a tool called scaffolding or commonly referred to as the steger of his role really can not be denied again. The purpose of this tool is to provide a safe place to work, with secure access and suitable for work that is not easy to reach. The scaffolding structure of the construction contractor safely and comfortably supports the workers doing the work at the altitude. It is undeniable that this tool has an important role for the sustainability of building projects.For those of you who are pioneering a contractor business with a budget that is not so great and experience a lot. Of course, buying and assembling your own scaffolding is a tough job in terms of energy and budget. You can run your contractor business, your construction, your development with a skewed budget but safety is assured. Scaffolding rental service is the solution for those of you who have the condition as above.Aneka Jaya Scaffolding is a company engaged in the leasing and sale of construction contractor scaffolding and its supporting equipment both former and new. In the world of building construction known a fixture called scaffolding or steger. It has functions to support human and material in the construction or repair of buildings and other large buildings. It used to be a bamboo / wooden structure, but today it is a modular system of metal tubes or tubes, although it can also use other materials.Sell ​​Scaffolding SurabayaSurabaya is the capital of East Java province, is the second largest city in Indonesia. With its status it is no wonder this city experiencing perkembagnan rapidly. One of the indicators of the rapid development of this city can be seen from the many presence of skyscrapers. With this condition inevitably the providers of equipment / equipment needs of building construction also complement their product catalog. The more easily scaffolding sought in Surabaya to make the development process can be faster.Aneka Jaya Scaffolding is a company engaged in the leasing and selling scaffolding Surabaya and surrounding areas with supporting equipment both former and new. In the general public outside the people who are engaged in the world of building construction, scaffolding or often called steger is better understood as an attempt to install the arrangement of bamboo / wood, beam / iron as a provisional pedestal while building a building, especially buildings in concrete construction. When a construction that wants to be made is finished and stand firm, then the arrangement of bamboo / wood, the beam / iron will be removed again.Cheap scaffolding surabaya but quality with the specifications you will get are:- In weld with co2 technology not with ordinary electric weld (high adhesion)- Outer outer dip inside + oven is not an ordinary paint brush- Certified goods of feasibility test and according to SNI standardAneka Jaya Scaffolding is a company engaged in the field of rental and scaffolding inexpensive Surabaya and surrounding areas with supporting equipment both former and new. Scaffolding SNIWe are ready to assist you in meeting the procurement needs scaffolding, for the construction needs of individuals and construction industry.Scaffolding from our new, consists of two main frame, two cross brace, 4 joint pinAs for the goods that we distribute are manufactured goods (manufacturing) is not home industry, while the advantages are:1. In welding technology with co2 not with the usual electric welding (adhesion eminence)2. Paint the outside immersion in the oven instead of paint brushes + usual3. 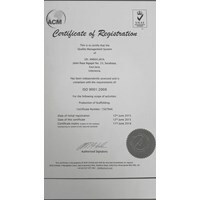 Goods certified according to standard due diligence and sni4. Experienced distribution to exit the island and even abroad.Aneka Jaya scaffolding is a company engaged in the sale / rent scaffolding, scaffolding sell new / used, rental scaffolding. Scaffolding or commonly called a steger is made to support and support a building construction project as a medium of transport of workers and materials needed building materials. Ladder Frame is a section located above the main frame, the top frame of a scaffolding. Used for scaffolding to be higher and stronger.Scaffolding ladder Surabaya is a tool used to get a higher scaffolding but with maximum strength. 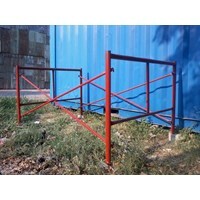 There are two high options for this ladder frame is 90 cm and 120 cm. 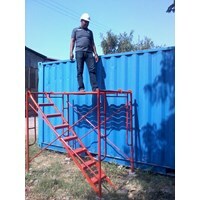 However, if you do not want to have trouble building your own scaffolding, you can contact the services of either selling or scaffolding for your convenience and security.Aneka Jaya Scaffolding is a company engaged in the rental and sales of ladder scaffolding Surabaya and surrounding areas and their supporting equipment both former and new.